Realtor Magazine takes a look at the year ahead and what sections of the market will be hot and best bets. They focus on both residential and commercial. From the residential stand point international investors will play a large portion in the US market given the economic situation outside of the US. Also distressed inventory in centrally located neighborhoods will continue to draw attention as well as good rental units. On the commercial end of the market they target, office and retail space as well as warehouse space and multifamily units. In the Stowe market we will see all of these areas take shape in one form or another. Stowe offers opportunities in all of these categories, so it becomes attractive to buyers. 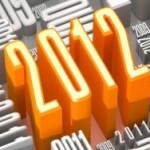 The Year Ahead: Real Estate's Best Bets in 2012 | Realtor Magazine.